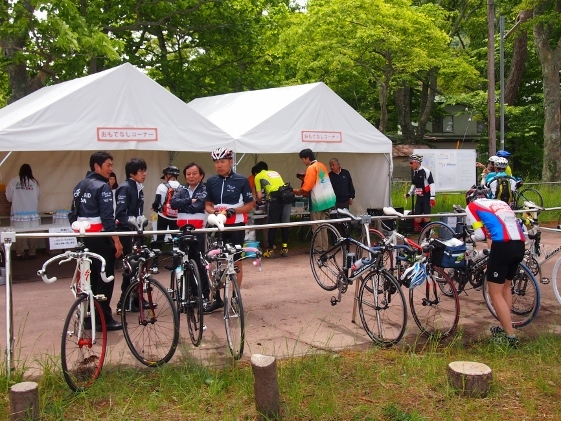 Today I joined in a cycling event called "CYCLE AID JAPAN 2013" for helping East Japan Reconstruction, and pedaled from Shirakawa City to Aizuwakamatsu City the total distance of which was 92km. 87 members joined the event from all over Japan. 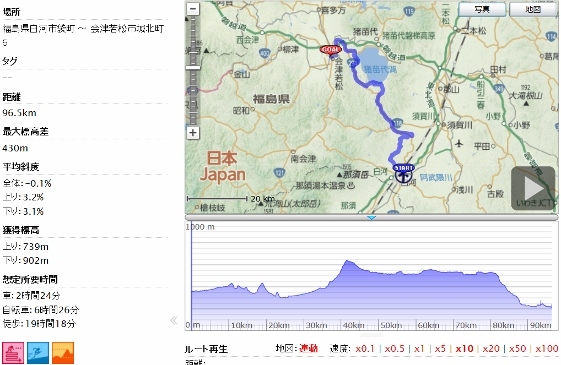 The course included Seishido Pass (640m) and the Tunnel. Several views of the route are shown below. 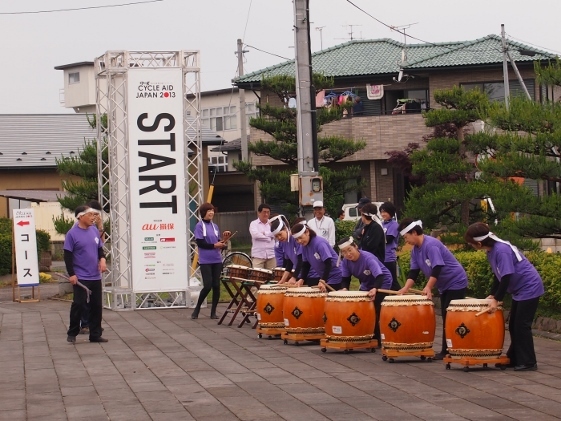 First up, views of starting point at Shiroyama Park which was the Komine Castle site and ceremony of VIP speech were shown in the pictures above. 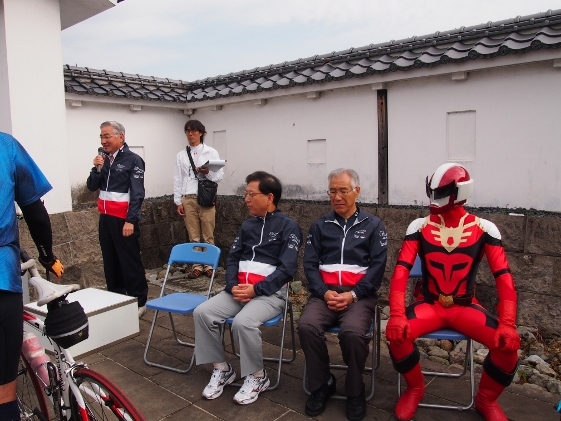 VIPs were a member of the House of Representative who was also a member of the Association of Promoting Bike Application (one who was making a speech in the picture), Mayor of Shirakawa City (one who was sitting beside the former), and etc. 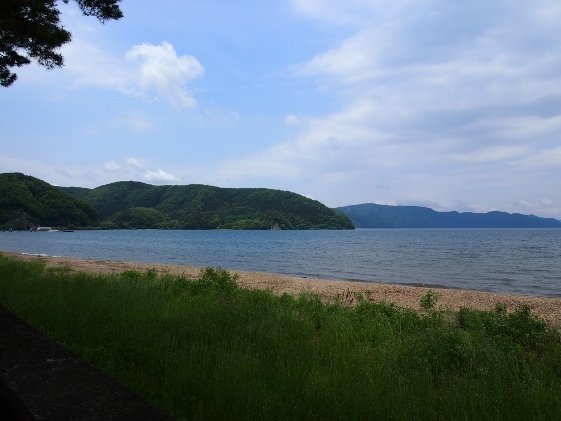 Views of the rest stop on the route (which was the southern Funatsu shore of Inawashiro Lake) and the lake seen from the spot were shown above. 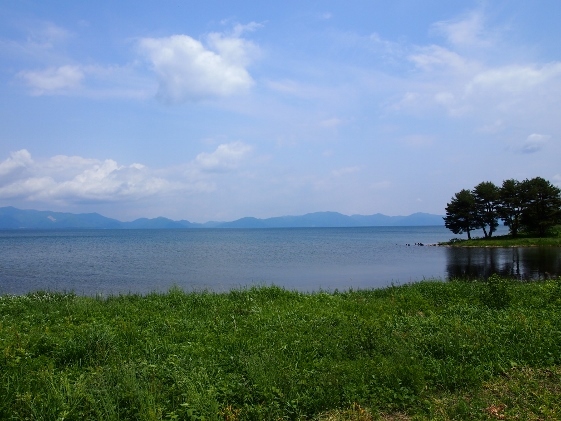 The next was the view of Inawashiro Lake from its western shore. The main theme of this event was riding a bicycle thus it was actually not east to stop a bike and take a picture. Nevertheless I took this picture. There were actually many other attractive views of nature on the route. 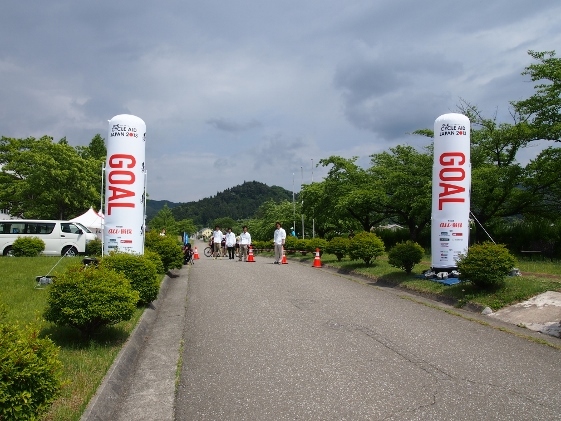 The last picture was a view of the goal point in Aizuwakamatsu City. 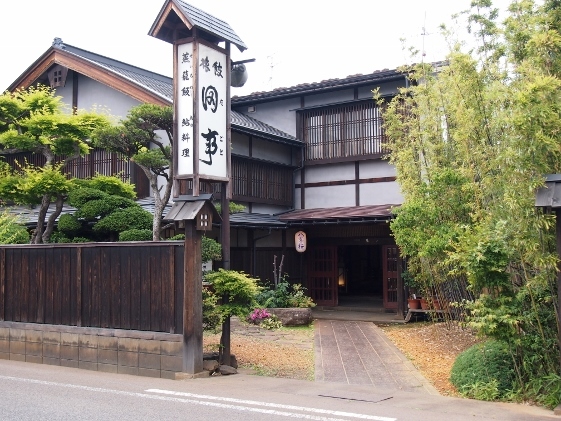 Tonight I stayed at Tagoto Inn of Aizuwakamatsu City as shown in the picture above. The inn was also clouded with eat out customers because of an excellent meal.